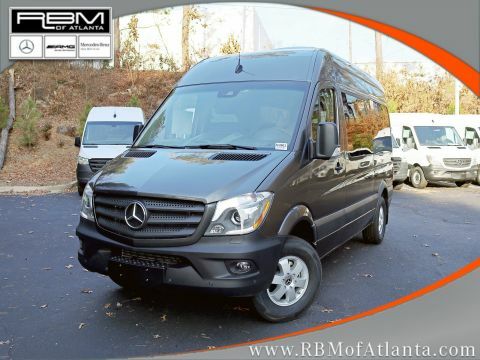 WHEELS: 6.5J X 16 LIGHT-ALLOY, WAIST HEIGHT PVC SIDE WALL PANELING, RIGHT REAR DOOR ASSIST HANDLES, LEFT REAR DOOR ASSIST HANDLE, FIRST-AID KIT, DOOR-MOUNTED ASSIST HANDLES, DRIVER & PASSENGER, CRUISE CONTROL, COMFORT PACKAGE -inc: Comfort Head Restraint, Passenger, Comfort Head Restraint, Driver, Comfort Passenger Seat, Comfort Driver's Seat, Driver Seat Lumbar Support, Passenger Seat Lumbar Support, Comfort Overhead Control Panel, Armrest for Front Driver and Front Passenger, CARGO VAN WOOD FLOOR, BLACK, FABRIC MATURIN UPHOLSTERY. 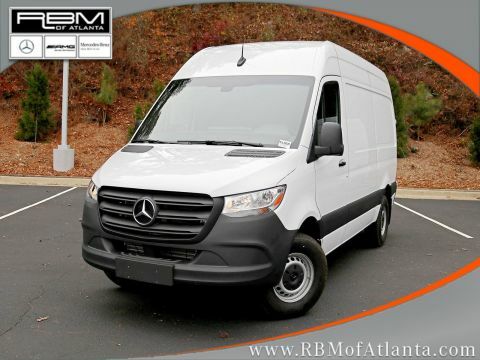 This Mercedes-Benz Sprinter Crew Van has a powerful 3.0 Liter DOHC Turbo engine powering this Automatic transmission. 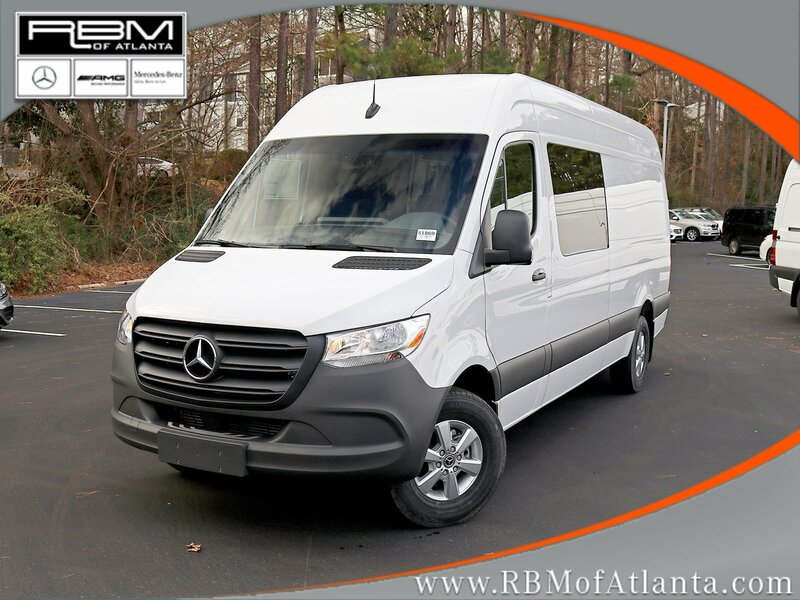 *Experience a Fully-Loaded Mercedes-Benz Sprinter Crew Van *12V REAR COMPARTMENT POWER OUTLET, Urethane Gear Shift Knob, Transmission: 7G-TRONIC Automatic, Transmission w/Sequential Shift Control w/Steering Wheel Controls and Oil Cooler, Towing Equipment -inc: Harness, Tires: LT245/75R16 All-Season -inc: All-Season Tires, Tailgate/Rear Door Lock Included w/Power Door Locks, Strut Front Suspension w/Transverse Leaf Springs, Streaming Audio, Steel spare wheel, Split Swing-Out Rear Cargo Access, Splash Guards, Sliding Rear Passenger Side Door, Single Stainless Steel Exhaust, Side Impact Beams, Seats w/Vinyl Back Material, Removable Bench Front Facing Rear Seat, Remote Keyless Entry w/Integrated Key Transmitter and Illuminated Entry, Rear-Wheel Drive, Rear Cupholder. 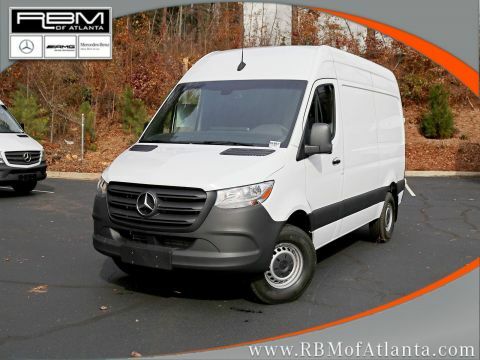 *Stop By Today *Treat yourself- stop by RBM of Atlanta located at 7640 Roswell Road, Atlanta, GA 30350 to make this car yours today!